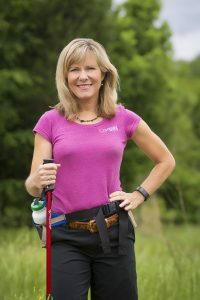 Now in its 21st year, Get on the Trail with Friends & Missy is one of the oldest fundraisers for Friends of the Smokies. Since 1998, U.S. Olympian Missy Kane has led hikers of all ages in our beautiful Park and raised over $200,000 through the generous support of participants and sponsors. Every Wednesday in April and October, Friends & Missy are out on the trail exercising, enjoying the park, and learning more about the history, wildlife, and nature found right in our backyard. Special events like Get on the Trail with Friends and Missy raise funds for park projects and programs, including wildlife conservation and trail maintenance. To participate in one of our upcoming hikes, you must pre-register by calling (865) 541-4500.